Traditional Arabian markets are a crucial part of life and trade in Dubai, and a wander through one of the city’s bustling souks is an essential experience. Whether you’re after some lavish gold jewellery, hand-woven fabrics or traditional oud fragrances, treasures await at the souks in Dubai. Arguably the best known of the Dubai souks, the Gold Souk is a must-see for serious gold traders, visitors hunting for that special memento, or travellers in search of a shiny trinket. The hundreds of vendors ensure unique pieces, statement gemstones and alluring Arabic designs with prices that aren’t set in stone. 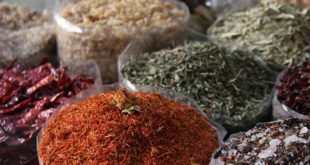 Follow your nose to the Spice Souk next door that will provide you with insights into Arabic trading, with top chefs, home cooks and savvy expats purchasing from the colourful sacks ofspices, herbs, rice and fruit. Find high-quality saffron strands at local prices, fresh A-grade dates and exotic spices, dried fruits and nuts. You’re sure to discover a new taste – and yes, you are encouraged to sample before you buy. More of a fragrance fan? Up the road from the Gold and Spice Souks is Deira’s Perfume Souk on Sikkat Al Khali Street. Dealing in everything scented, from pure perfume to essential oils, incense sticks and the ever-popular traditional oud. You can buy oils in wholesale bottles or smaller ornate vials. You can even have your own scent created by experienced perfumiers. From the Perfume Souk, catch an abra across the creek to explore the Textile Souk in Bur Dubai. 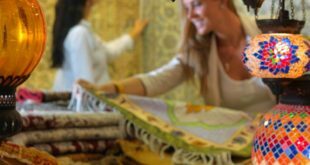 Find tiny shops filled with rolls of luxe imported fabrics, including fine silks, airy cottons and dazzling sari fabric. Pick your favourites and pop into one of the surrounding tailors to have a dress, abaya (traditional womenswear), kandora (traditional menswear) or suit specially made. It’s only a short walk from there to historical area of Al Fahidi. 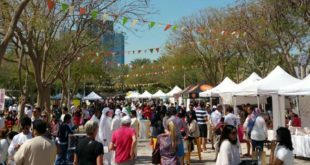 A short walk over the footbridge that cuts across the Burj Khalifa lagoon and housed in the world’s biggest mall, Souk Al Bahar isn’t exactly your traditional Arabian marketplace. Traders sell their wares across from the gleaming Chanel and Valentino boutiques. 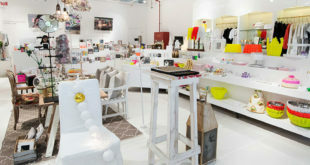 Stock up on fragrant oils, jewellery, scarves, abayas, brass lamps and fresh Emirati pastries and cakes. Upstairs, there are some of the best vantage points to watch the evening light show at Dubai Fountain. A 15 minute ride away from Downtown, the magical Souk Madinat Jumeirah is your place to find the perfect souvenirs, art, sculptures, fashion, and jewellery in a traditional Middle Eastern ambience. Dining options include Lebanese cafes, Western-style eateries and high-end restaurants with front-row views of the meandering waterways. End your night with an Abra ride and relax as you take in the surrounding beauty. Prepare to be dazzled by a glittering expanse that is symbolic of the opulence of ‘The City of Gold’ at the Dubai Mall Souk which hosts more than 40 different jewellery stores and watch shops. Modernised and on par with international standards this is a vivacious gold and diamond jewellery shopping experience and your chance to grab that style that has never been seen before.